There are many places in the world where a river is a divider both from a geographical perspective but also in an intangible way. Some of the most famous cities in the world are split by equally famous rivers, like the Thames in London and the Seine in Paris. Not that it is any comparison to these cities but Melbourne is also divided by the Yarra River, and a common question asked is ‘which side of the river are you, north or south?’ There are often philosophical, political and financial divisions around this that have a lot to do with history. Wine region sometimes have this and none more so than Bordeaux, which is separated by the Garonne River. On the right bank you find Saint-Emilion and Pomerol where merlot is the major variety. On the left bank you have the Medoc with Margaux and Pauillac, and cabernet sauvignon is king. Winemaking is pretty similar which means the selection of variety and the terroir. On the right bank there is more clay in the soils which is better for merlot, and on the left bank it is a little warmer and therefore better for the later ripening cabernet sauvignon. The left bank wines tend to take longer to age in the bottle which is why I tend to prefer right bank wines younger. But there is plenty of spoils for all and as always every vintage is different. For my third day I visited one estate on each side of the river, and then met with one of the more important Bordeaux negociants to discuss how the wines are sold in their own unique way. The first appointment for the day was in Saint-Julien to the south of Pauillac with Chateau Leoville-Barton where I was welcomed by Alexandra Nebolsine and joined by a couple from Ohio in the United States. Like every other estate I have visited in Bordeaux all we were shown were the reception area where the wines are vinified and the cellars where the wines are aged, with a brief stop to see where the wines are bottled once a year. Technically there is no Leoville-Barton winery as the wines are made at the winery of Langoa-Barton which was purchased and used before this. 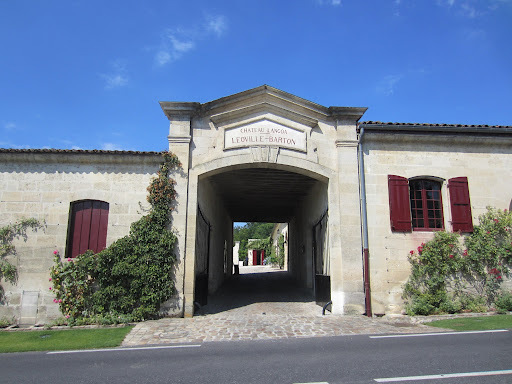 the Leoville vineyards were some of the oldest in this part of Bordeaux dating back to 1638, and most of them were inherited along with the winery to several descendants of the original owners. The Barton family who hail from Scotland purchased part of the vineyards that were for sale, and thus created a new chateau. There was no consideration of consolidating the two estates as they each have their own unique personality, and thus they are kept completely separate in the Langoa-Barton winery. The wines are predominantly fermented in large oak vats that are up to 50 years old before they are blended and go into barriques for at least 18 months of ageing. Also like many wineries I visited in Bordeaux I wasn’t able to sit down to taste, and all I tasted was the 2011 vintage for both chateaus. The visit left me fairly under-whelmed as the wines are too young to see any real personality. Click here to read my notes. 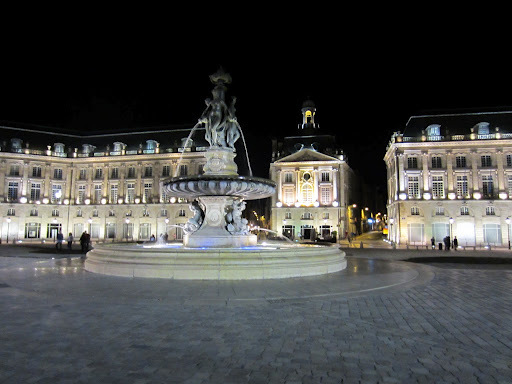 I then ventured back through Bordeaux city to the right bank and returned to Pomerol to visit Chateau L’Evangile. Dating back to the 17th Century it has changed hands a number of times and is now owned by Lafite-Rothschild, one of the five estates given first growth classification in 1855. When they initially purchased the estate the former owner still controlled about 40% of the business and insisted on continuing to run it herself. 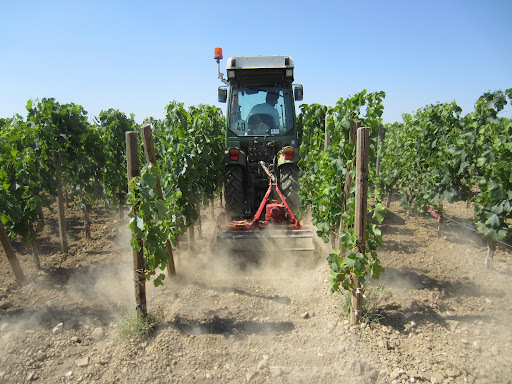 The technical director for the whole group often had to hide himself in the vineyards during the harvesting period to not only ensure that quality was being observed but also in an effort to learn more about the vines and terroir. The estate horticulturalist in Madame Ducasse‘s employ was effectively the counter-terrorist and was instructed to provide regular updates on anything suspicious going on. Little wonder that she was nicknamed the ‘iron lady’ of Pomerol. 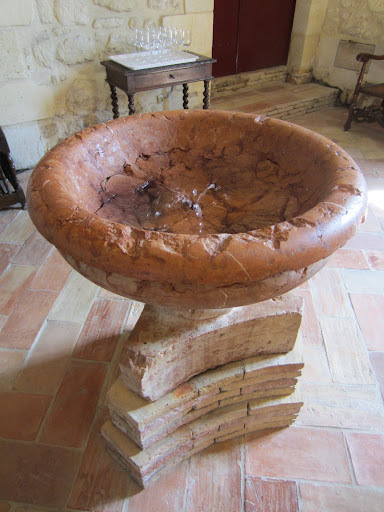 When she retired in her nineties major works were initiated at the chateau in an effort to bring it into line with the rest of the group through modernisation and intimate understanding of the terroir. The modern and technologically efficient winery they recently completed is based slightly on the Lafite model but with its own personality, and is designed to impart as little impact on the wines themselves. Organic viticulture is observed on the mostly merlot vines, and this shows through in the wine. As was the trend the only wine I was able to taste was the 2011 barrel sample, which as usual was too young to see any real character in. My notes on the wine can be found here. 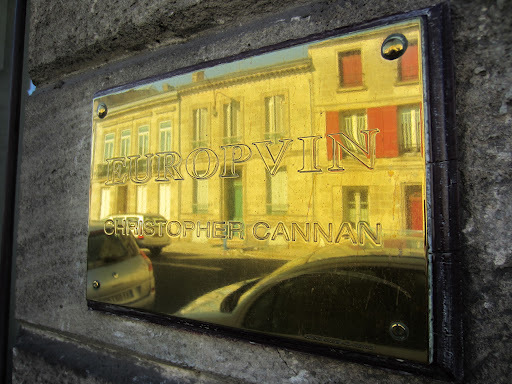 After I returned to Bordeaux for the day I met with Roderick Hull who is the commercial director for Europvin, which is not only one of the most important Bordeaux merchants based here but also represents some of the finest wine estates from around Europe in many markets including Australia. I was intrigued to learn more about how they work with their producers considering they were generally a go-between for the importers. In the case of Guigal who I visited back in late-May they are responsible for promoting and managing relationships for the brand predominantly Asia-Pacific where markets are small and fragmented and they don’t have the resources to handle this themselves. The winery however handles all of the sales and logistics into these markets. For other producers they work with smaller volumes and can consolidate shipments themselves, or can buy and on-sell the wines themselves. They have managed to assemble a formidable range of producers with unique and authentic personalities with quality and humility, as well as some of the most sought after producers possible. Rod was also kind enough to explain how the Bordeaux system works. For at least 100 years the chateaus in Bordeaux have used brokers to effectively find customers for them. This was of huge help during tough times like the phylloxera crisis and also the oil crisis. The system continues today even though they have no problem finding customers for Bordeaux everywhere, and they have effectively the same customers every year. The brokers do almost nothing for their 2% commission apart from being a buffer between the merchants and the chateaus when either or both aren’t happy. One of the big problems with the system is that the chateau is basically setting the price for the wine with seemingly no consideration for market conditions, which is totally against the market-led supply and demand concept of economics. This has led in more recent years to huge increases in price in spite of global financial difficulties, and in the most recent campaign a general cooling of interest in wines from Bordeaux that appeared to have no limit to how high they could go and how much interest Asia had in them. The recent decision made by Chateau Latour, one of the most important estates in Bordeaux, to pull out of the En Primeur (futures) campaign may have interesting repercussions in the future, and there may not be many more years of the wines being sold in this out-dated and uncompetitive way. Click here to see more photos from day three in Bordeaux, France. The fourth day is spent back on the left bank at three of the top estates.